It's been a while since I've introduced you to an amazing girlboss! 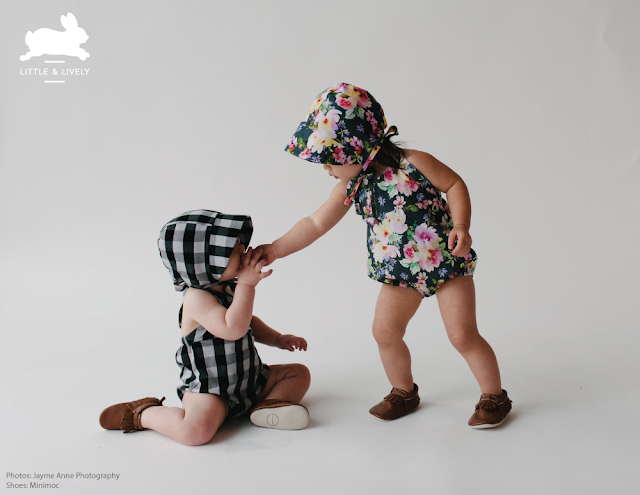 I have been loving Carmen's beautiful children clothing for over a year and I am ecstatic to introduce you to her brand, Little & Lively. Read all about Carmen's journey below, and scroll down for a pretty sweet discount code & giveaway! Could you please describe your business for our readers? Little & Lively is a home-based baby and kids clothing company creating high-quality garments that are versatile, playful and on-trend! All of our products are designed & manufactured within our hometown of Abbotsford, BC. 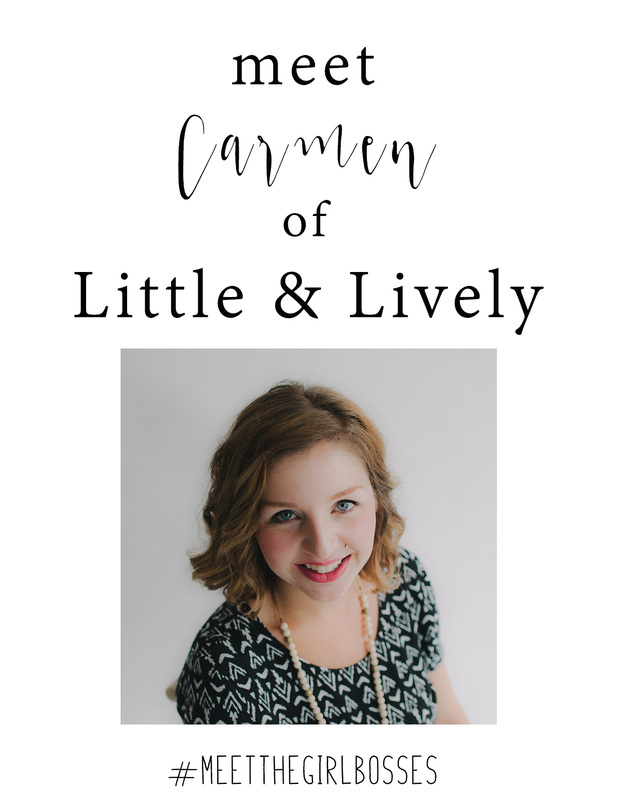 My name is Carmen West and I'm the designer behind Little & Lively. My husband, Jordan, and I are the dream team behind this business. I only say 'dream team' because Jordan's skills & strengths tend to be most of my weaknesses (and vise-versa) so, combined, we make a pretty complimentary team! We have two daughters, Daphne and Wynnie. We strive to keep our hustling and bustling business operations close to home as much as possible in order to maintain a balance between family time and managing a business. I started making some baby apparel back in 2014 and officially branded as Little & Lively in early 2015. How did you decide to start? Were you inspired by your product and the need for it or did you want to start a business first and thought of the product second? Is it a full time job for you? I decided to start making baby & kids clothing while I was expecting my first daughter, Daphne. I have my diploma in Fashion Design so it felt like a natural transition to start designing baby apparel that I wanted to put my own daughter in. It snowballed into a business when I put the designs on Etsy and realized there was a lot of interest in what I was putting out there. I used to make everything "to order" but after growing quite quickly, we have had to shift to carrying inventory. It is now a full-time job for me and then some! My husband and I are both involved and we have one full-time employee named Jojo. It wasn't very hard to start something. The hardest part of us has been, and continues to be, the growing pains. We have had to learn how to adapt, expand, invest and delegate to make sure we are able to keep up with the demand. Our little house sometimes feels like it is bursting at its seams and full of inventory, packages and projects - not to mention kids and toys! My husband is extremely entrepreneurial and jumped right in, helping with all the financials and marketing for Little & Lively. He is such a talented digital marketer and I owe a lot of credit to him for our enormous growth over the last year and a bit. There are days when I'm completely overwhelmed and that's when I see the biggest strains on our family. I try so hard to be 100% mom and 100% business but often times I fall short. Luckily our two girls are so sweet and understanding, even when they don't get my undivided attention. I have fallen into that game countless times, especially when I see what looks like an exclusive invite-only event that I wasn't a part of. But I try to remind myself that I don't need to feel bad... that I'm loved, appreciated and what I'm creating is still very good. Luckily, I find this local community of small businesses extremely supportive and not competitive at all. I'm a big believer in the fact that there is enough business out there for all of us. 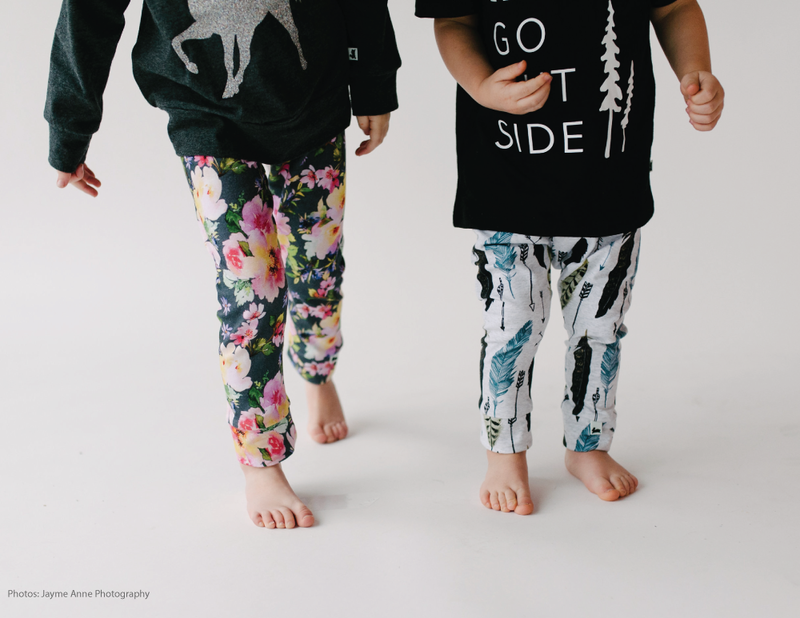 The demand for trendy baby & kids apparel is huge, and there's definitely room for each business to have a piece of the pie. Rather than compare, I prefer to challenge myself to be unique and make sure my designs stand out with my own special style. We have a fabulous Spring/Summer collection just released with several exclusive-to-us fabric prints! We've just released a ladies dress (in response to so many requests!). Little & Lively turned two in January and I reached my 30th birthday! I'm already working on Fall/Winter concepts that I'm so excited about. With each collection we've been challenging ourselves to push ourselves to better than the last; creating new fabrics, branching into new apparel designs, and more! I'm already getting excited to share the next things we've been working on! Thank you so much for your honest answers & great advice Carmen! 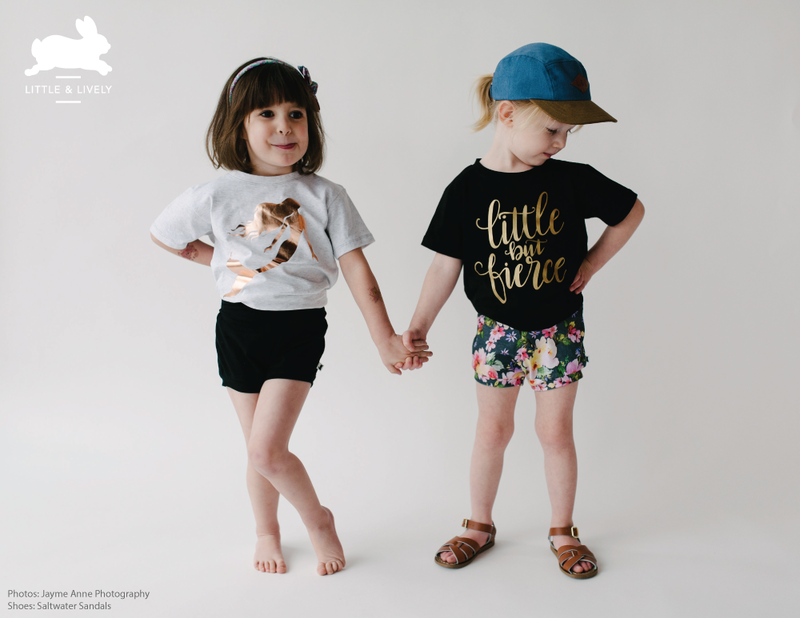 Check out Little & Lively here and get free shipping with code O_FREESHIPPING until April 15th. You can also head over to my Instagram for a special giveaway!